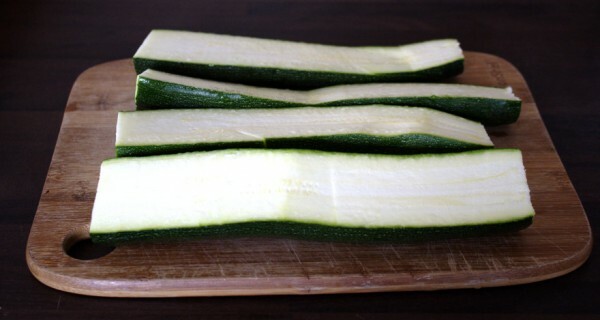 Stuffed zucchini or stuffed courgette are a new phenomenon in our kitchen. The complete credit for this recipe goes to my husband who created these for me one night a few months ago. He was having a regular pizza and wanted me to have a treat too. We usually make these on a Sunday evening as something nice to have while enjoying a movie or our favourite show. 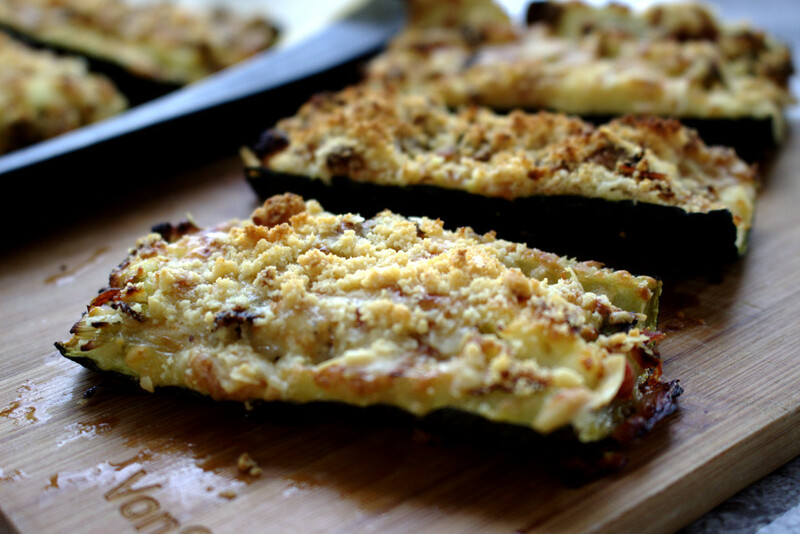 These stuffed zucchini make a great appetizer or main dish paired with some vegetables. I even like to make a big batch and have them as work lunches for a few days. They are so easy to whip up and you’ll probably have all the ingredients already to hand. 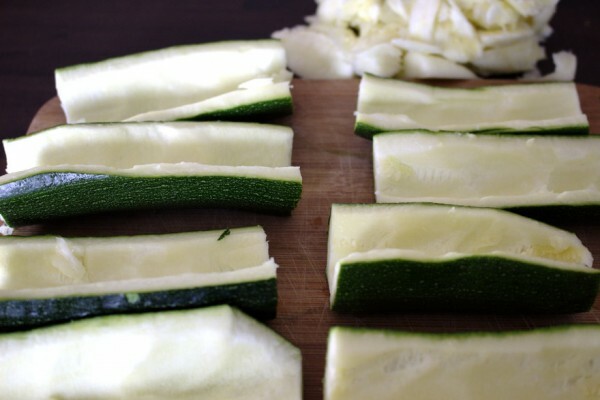 Zucchini are one of those safe vegetables that I know I can tolerate no matter how I am feeling. They were one of the first new foods I was able to introduce on the Specific Carbohydrate Diet. I ate zucchini noodles a LOT when I first started SCD so I tired of them pretty quickly. It’s so important to try new ways of cooking foods on SCD. Honestly, it has been key to my success on the diet. Not only is a wide variety of foods important for a healthy gut but it’s so important to get excited about the food we eat. Before being diagnosed with Crohns, I saw food merely as a necessity. Now, everytime I eat I am taking time to nourish my body and give it the nutrients it needs. I love preparing food for my family because I see it as time well spent. My husband often says to me when I’m cooking “You’re going to way too much trouble there” and I always think what better way to spend my time that investing in my health and that of my family. As I said these stuffed zucchini are my husband’s creations! I can’t take an ounce of credit. If you are not familiar with dry curd cottage cheese, click here. 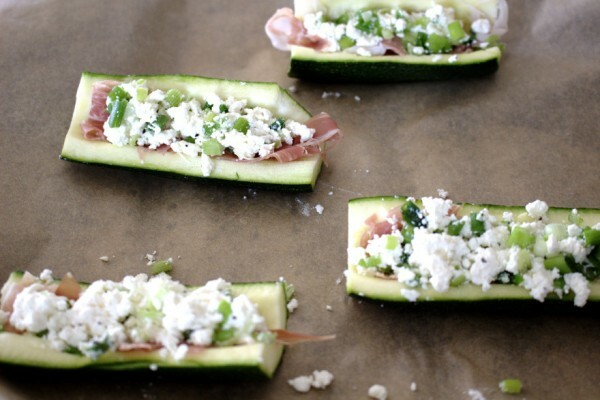 These delicious stuffed zucchini make the perfect party appetizer. No one will believe they are free from gluten, grains and suitable for the Specific Carbohydrate Diet (SCD). 5 tablespoons Dry curd cottage cheese/Polish cheese "twarog"
Top and tail the zucchini. Then, cut them in half. Using a dessert scoop out as much flesh as possible. 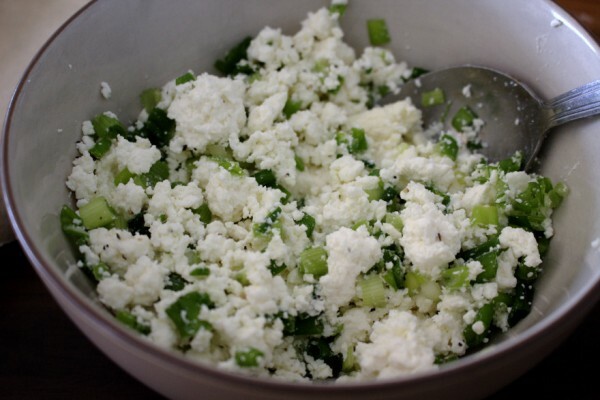 In a bowl, mix the spring onions, dry curd cottage cheese and season with salt and pepper. Place the zucchini boats on a parchment lined baking tray. First, fill them with the Parma ham. Next, add a scoop of the cheese and onion mixture, spreading it out evenly. 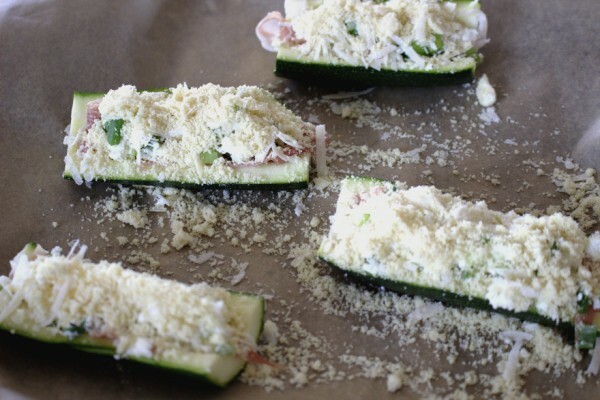 Next, sprinkle each zucchini boat with grated Parmesan first followed by some almond flour. Bake for 25-30 minutes until lightly brown and crispy on top.